Community is Sold Out. Please browse our Search by Community page for resale listings. Or, contact an Urban Specialist for immediate assistance - 602-791-3292. Aerium, Landmark Homes USA’s first project in Arizona, features 27 contemporary town-homes ranging from 1,414 to 1,830 square feet. 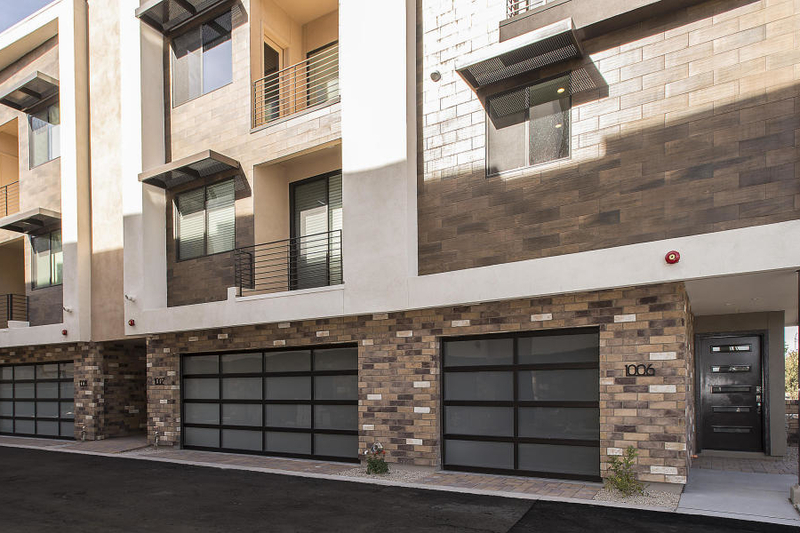 Designed by renowned architect’s at Oak, the three floor plans feature attached garages, oversized balconies, private backyards, and a triecta of ”wow” factors that include open-tread staircases, sustainable quartz counter-tops, & jaw dropping Italian Bertazzoni gas ranges. Chef-inspired kitchens and spa-inspired master bath options are just a couple of our pre-designed optional features available. On-Site Community amenities include, a sparkling lap pool, an organic herb garden, a ramada & outdoor cooking facilities. Lush landscaping has been designed to surround the Community and walkways.